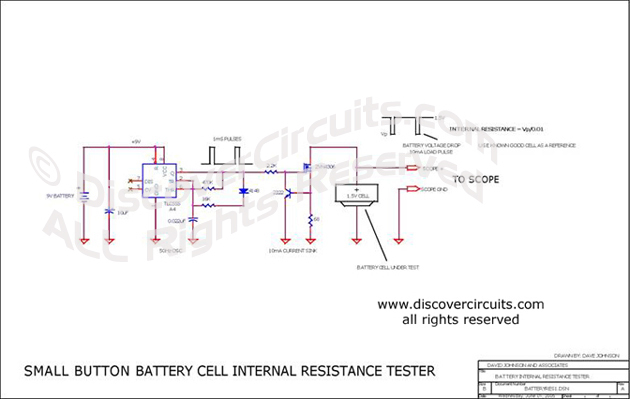 Circuit: Button Battery Cell Internal Resistance Measurement Circuit __ Circuit s designed by David A. Johnson, P.E. The open cell voltage of a small silver oxide button cell battery remains very close to 1.5 volts over most of the life of the cell. However, there is a relationship between battery health and the internal resistance of the cell. This circuit when used in conjunction with an oscilloscope will measure the internal resistance. You will have to use a known good cell as a reference.